July 1 marked 150 years since Canada’s confederation. This summer series focuses on events that explore this milestone while pondering the question: how did we get here? On July 1, 2017, Canada turned 150 years old. The milestone was met with celebration, condemnation, and consideration from around the country. 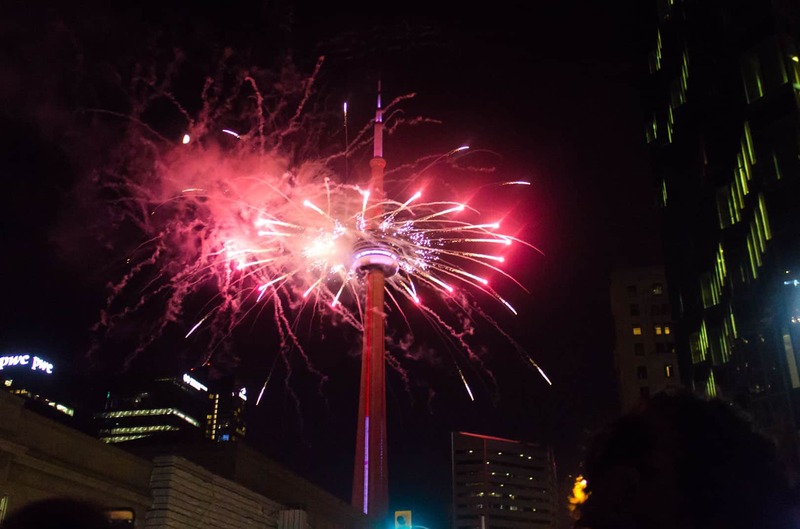 In Toronto, events both big and small were held in light of the occasion. 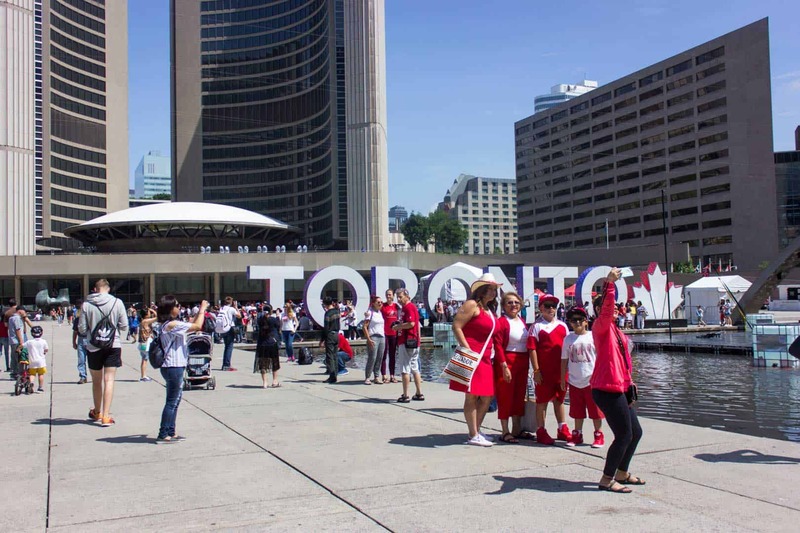 The Varsity explored the city with our cameras, attending a variety of Toronto’s Canada 150 events. (Click the photos to enlarge). We started the day by watching the Parade of Nations run down Yonge Street. 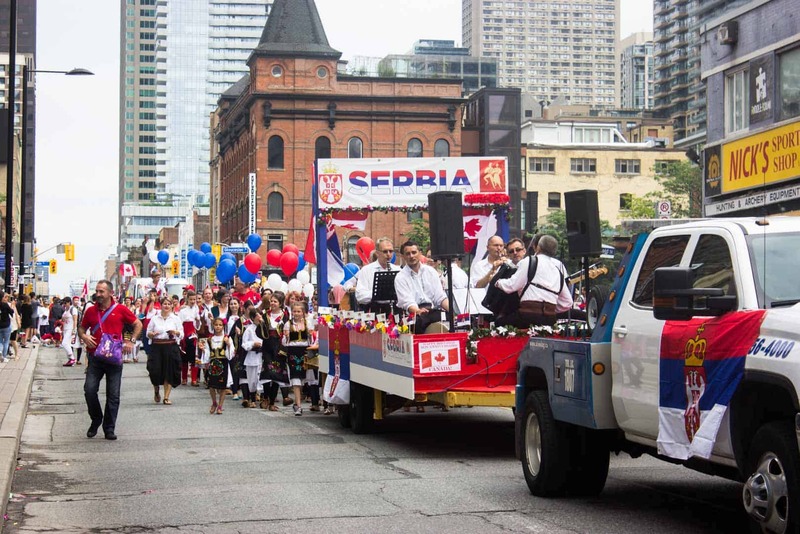 The morning parade was organized by the Community Folk Art Council of Toronto and consisted of 25 different multicultural groups with nearly 2000 participants. 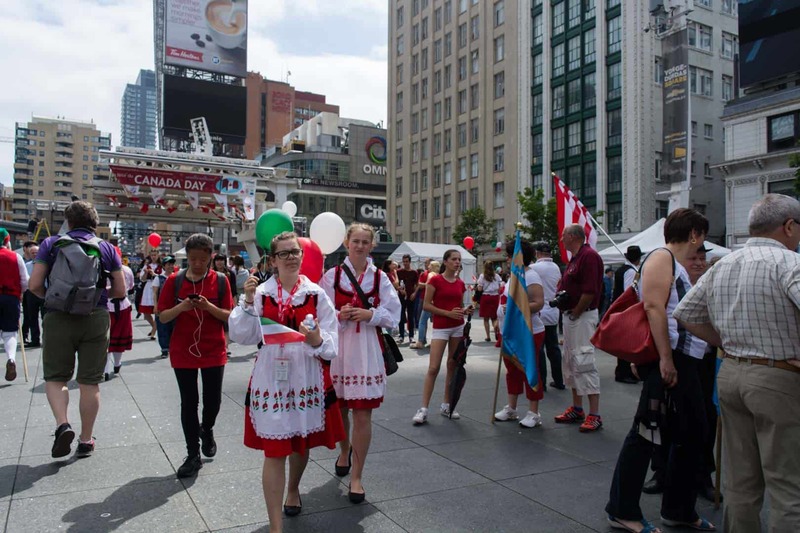 Yonge Street was transformed into an international celebration; some highlights included a band from Serbia, beauty queens from the Philippines, and balloon flowers from a Vietnamese community group. 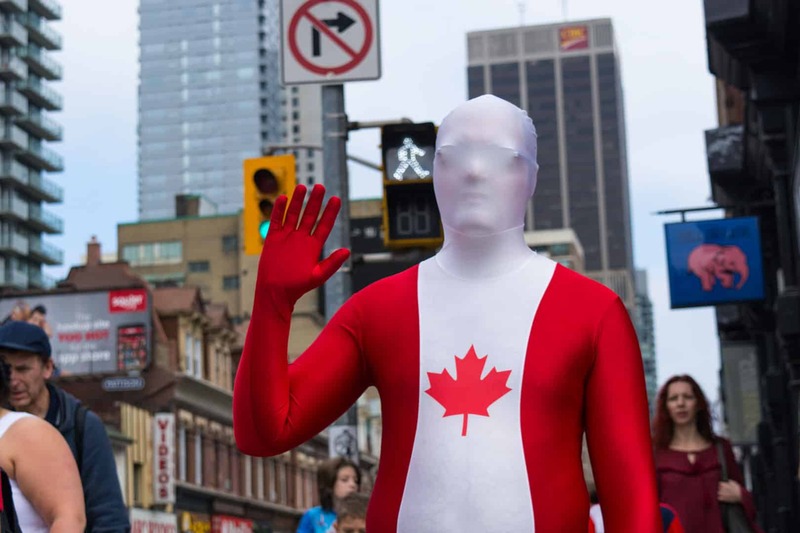 Once the parade was finished, participants and viewers gathered in Yonge-Dundas Square to take photos, shop for Canadian merchandise at vendor booths, and hang out until an afternoon of musical performances began. The festivities at Queens Park began at 10 am with a citizenship ceremony where 150 people took the Oath of Citizenship, officially confirming their Canadian citizenship. The family-filled event included music performances, Canadian vendors, and activities for children. 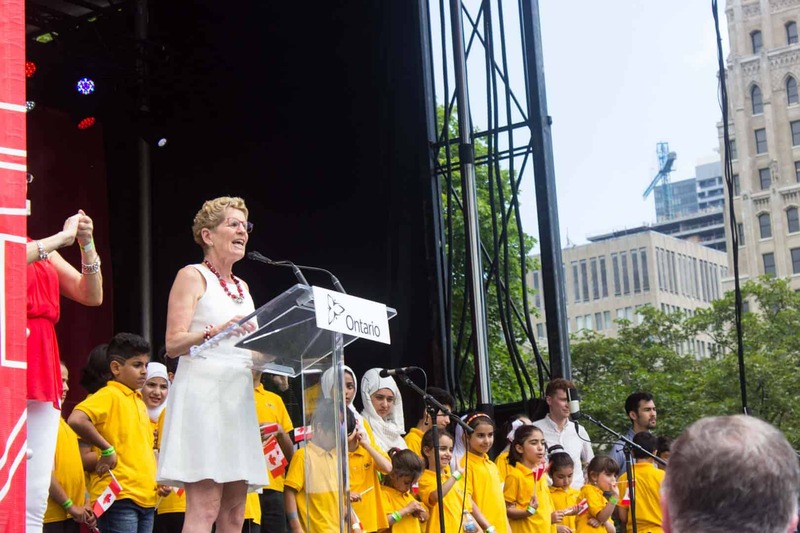 Ontario Premier Kathleen Wynne briefly spoke on stage, praising Canada’s multiculturalism and diversity. 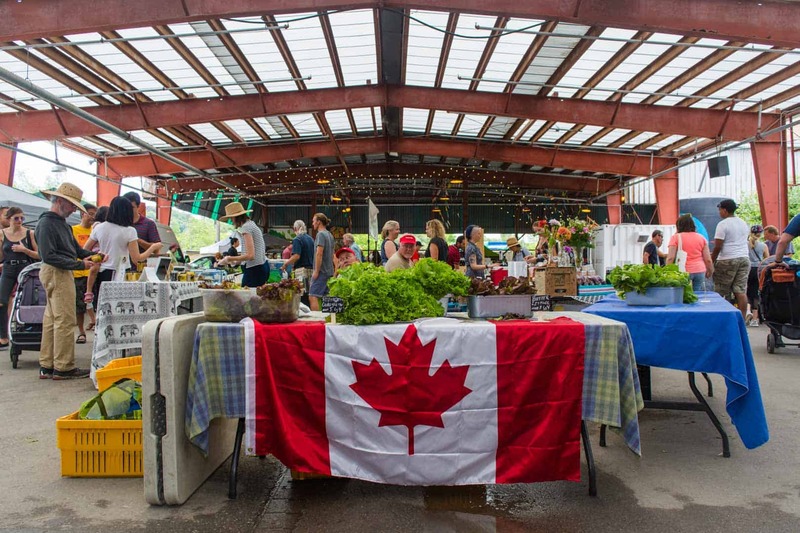 Up by 550 Bayview Avenue, Evergreen Brickworks hosted its weekly farmer’s market in addition to a holiday garden event series called Brewer’s Backyard. 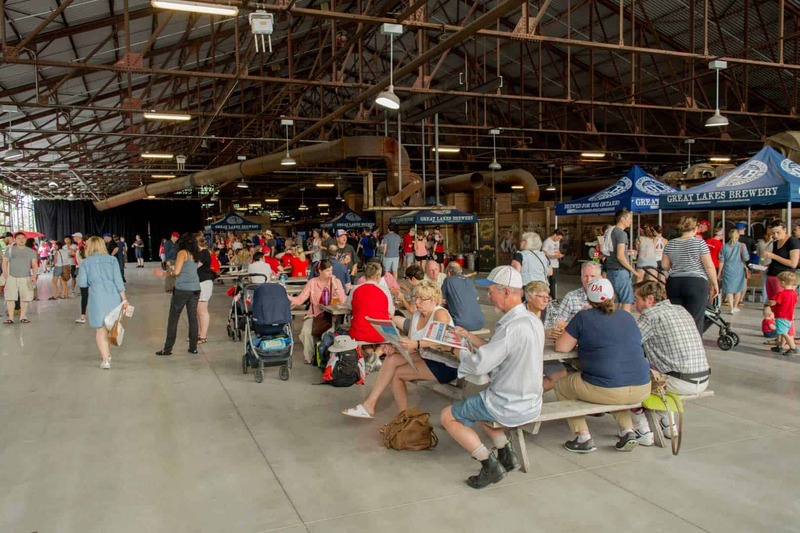 The Brewer’s Backyard celebrated Canada Day along with the 30th anniversary of Great Lakes Brewery, one of Toronto’s many craft breweries. The event spread festivity through affordable drink, healthy foods, and the natural beauty of the Koerner Gardens. The Brewery also showcased 19 different craft beers on tap, as well as the debut of the CanCon Session IPA, a new brew inspired by ACTRA Toronto. Plenty of people packed in Nathan Phillips Square to see musical performances and take photos by the ‘Toronto’ sign. Food trucks were lined up around the venue with people eating on any available grass they could find around the square. 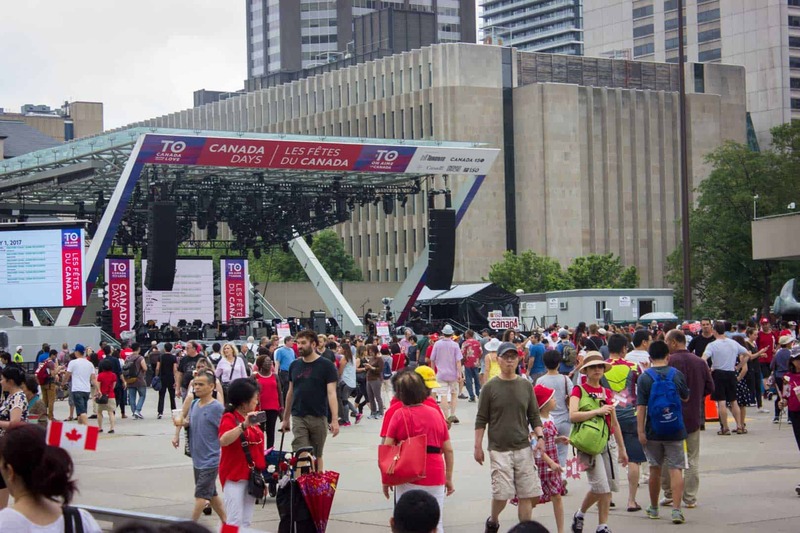 Nathan Phillips Square, though busy, was quite relaxed throughout the day; people and puppies alike were decked out in Canada Day gear, enjoying the scenery of City Hall. 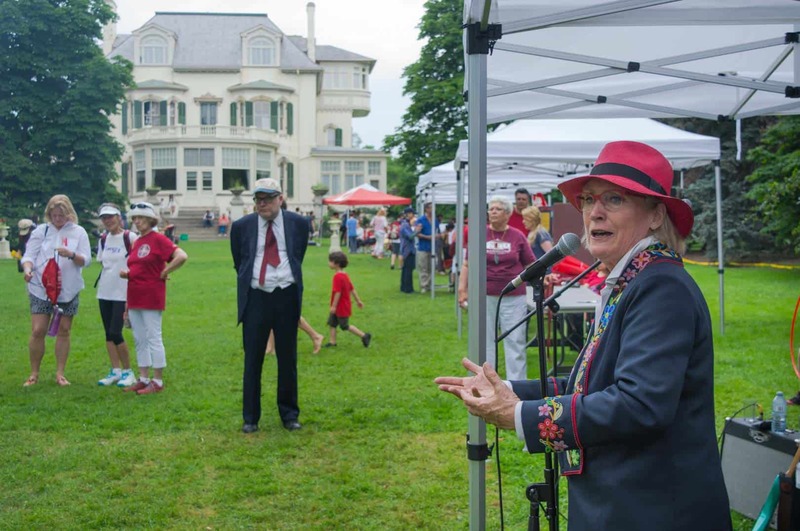 Spadina Museum was open to the public free of fare in celebration of Canada 150, hosting numerous visitors throughout the day. The garden behind the museum was packed with people celebrating the 20th anniversary of the Annual Toronto—St. Paul’s Canada Day Picnic organized by federal Indigenous and Northern Affairs Minister Carolyn Bennett. The event acknowledged Canada’s 150th anniversary as a milestone to remind Canadians of the colonization of Indigenous peoples as well as the importance of reconciliation. There was a noticeable presence of resistance around the city. Signs were taped up around the downtown core objecting to the celebrations of Canada 150 on behalf of Indigenous peoples. At the Annual Toronto—St. 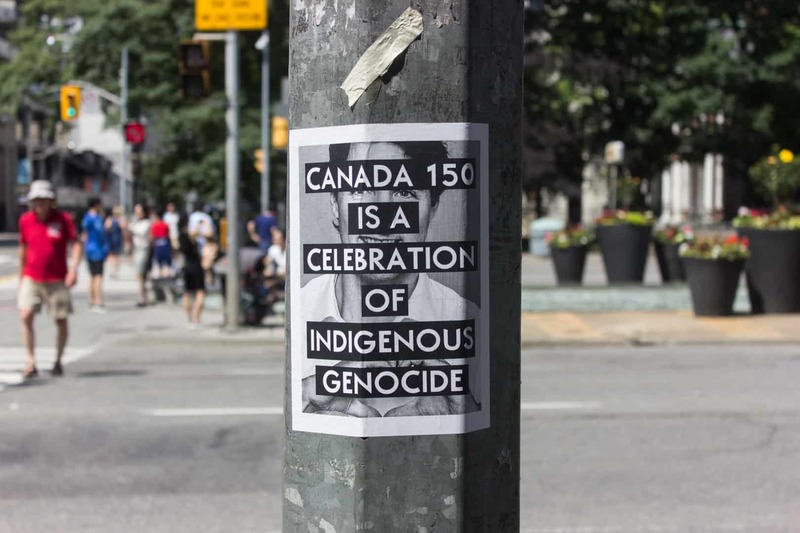 Paul’s Canada Day Picnic, two people held a homemade sign that read, “Canada 150 is a celebration of colonial violence, genocide, & land theft.” Hashtags like #Unsettle150 and #Resistance150 made the rounds on picket signs and social media. Toronto’s Harbourfront was one of the busiest locations in the city throughout the day. 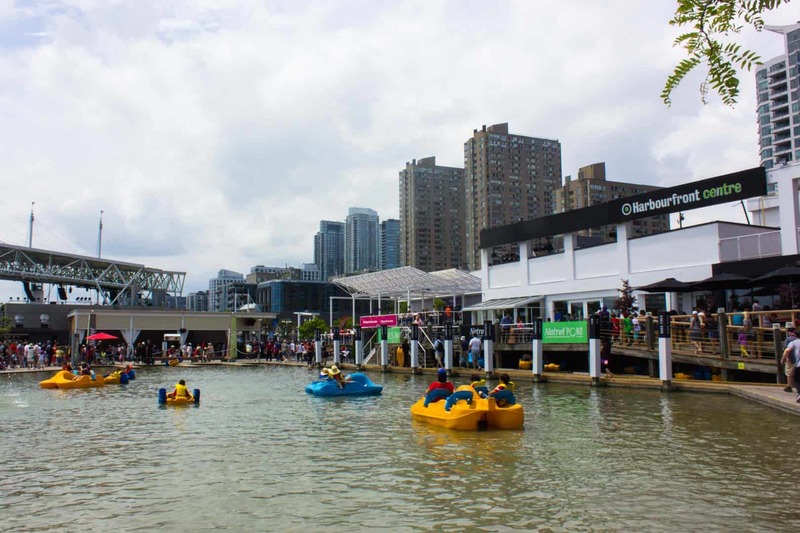 A festival entitled Our Home on Native Land – which began on June 30 and continues until July 3 – occurred around the Harbourfront. The event was created to acknowledge the contributions of Indigenous and newcomer artists on Turtle Island and featured a variety of notable musicians, DJs, singers, and dancers. Harbourfront also showcased family-specific activities. When we arrived we spotted children riding paddleboats and families enjoying picnics on the eastern end of the harbour. Plenty of visitors lined up to enjoy a culinary Canadian staple: Beaver Tales. 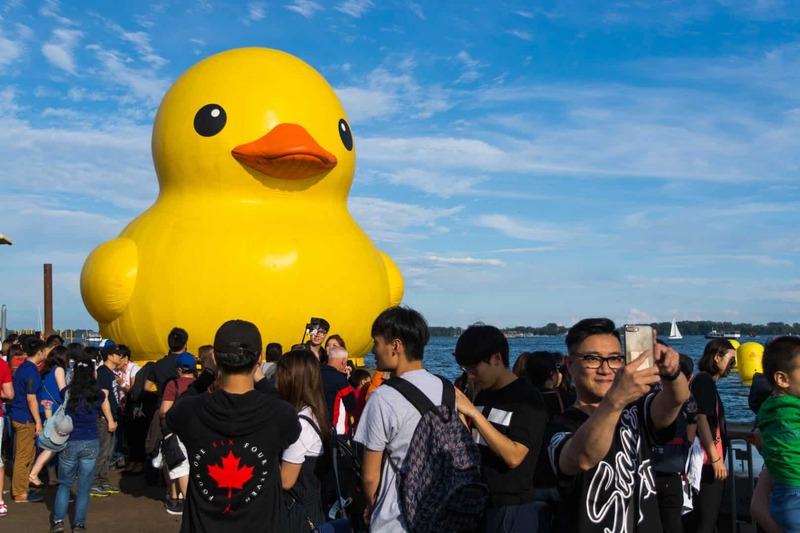 One of the most popular – and controversial – parts of the Harbourfront was an unmissable six-storey giant rubber duck. The area around it was crowded with people vying for the perfect selfie with the yellow creature. Vendors packed themselves into the western-end of the harbour selling duck-related merchandise. 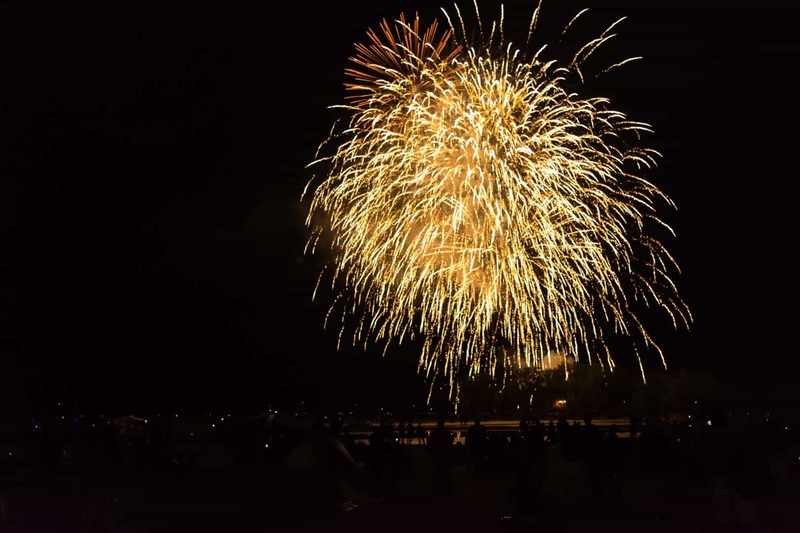 The Beaches were filled with anticipation for the annual fireworks show that occurred at 10 pm. The massive aura of the fireworks saturated our lenses with vibrancy and colour. 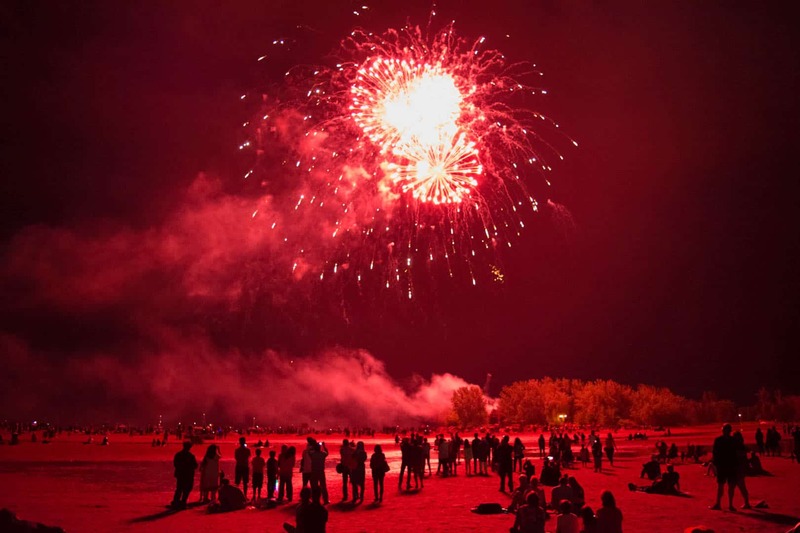 Inspired beach-goers lit the soaked dunes of Woodbine beach with their own fireworks, transforming tubes of paper into flares that covered the night landscape. We finished our day taking photos of the fireworks off the CN Tower. The streets around the tower were filled with people; tripods were angled up at the tower awaiting the show while families were camped out on the ground along Front Street and the Harbourfront. Once finished, the crowd cheered, cars honked, and the audience applauded the final show of the night.